It’s becoming as much as holiday tradition as the Huntsville Christmas Parade, the Tinsel Trail, the Galaxy of Lights and ice-skating in the park. 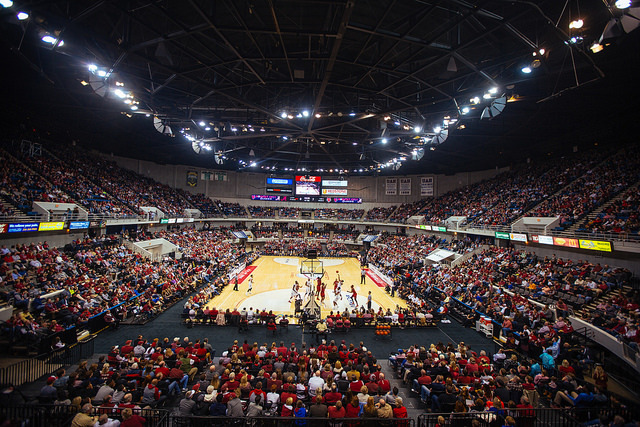 For the third straight year, the Rocket City Classic brings the University of Alabama basketball team into Huntsville and the Propst Arena at the Von Braun Center. Call it Christmas Tide-ings. 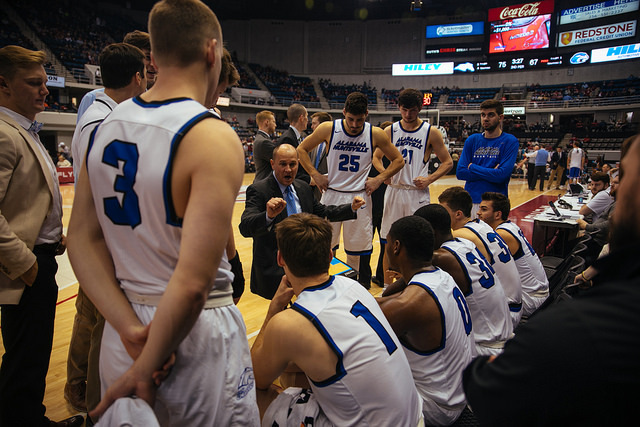 The Crimson Tide will play Liberty University on Tuesday, Dec. 18 at 7 p.m., part of a doubleheader that also features the UAH Chargers against Fort Valley State at 4:30. The Alabama-Liberty game will be on the SEC Network. Tickets still remain at the Von Braun Center box office and through Ticketmaster. The Classic is presented by Knight Eady, in cooperation with the City of Huntsville, the Huntsville/Madison County Convention & Visitors Bureau and the Huntsville Sports Commission. The event partners are eager to showcase Downtown Huntsville via the Classic. 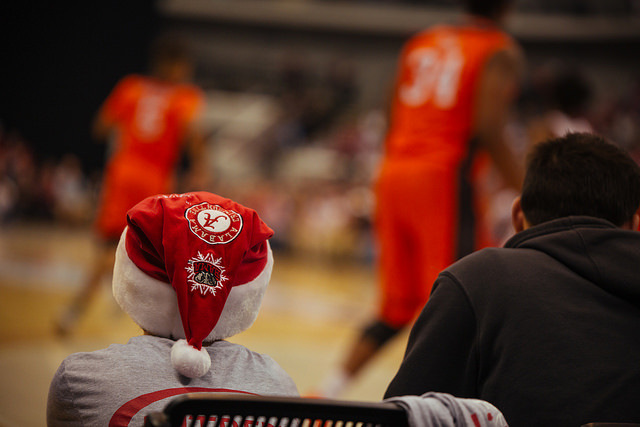 “The Rocket City Classic is not just an evening of exciting basketball. This is an opportunity for residents and visitors alike to take in all that Downtown Huntsville has to offer during the Christmas season – great restaurants, the beauty of the Tinsel Trail and so much more,” says Judy Ryals, president/CEO of the Huntsville/Madison County Convention & Visitors Bureau. For two Alabama players, this will be a homecoming game. John Petty, who played on three state high school championship teams (at J.O. Johnson, then the new Mae Jemision High), is a sophomore and is the Tide’s second-leading scorer. Freshman Kira Lewis, a Hazel Green High product, is Alabama’s top scorer. 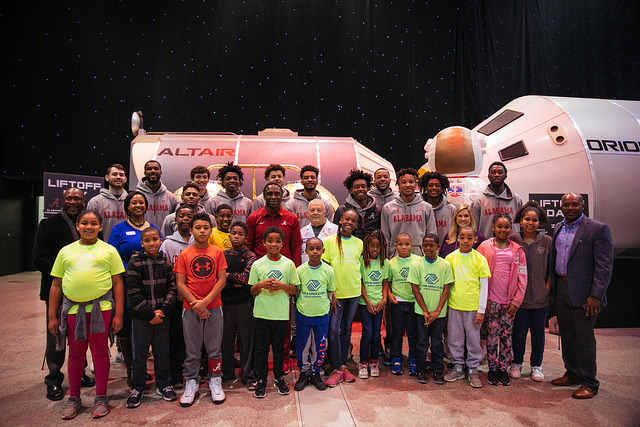 As with the previous years, Alabama’s team will spend two days in Huntsville and be immersed in civic events. This will include a visit to Whitesburg P-8 school in partnership with the Huntsville Network for Urban School Renewal. Players will read to the students, and each student will receive a book for his or her personal library. 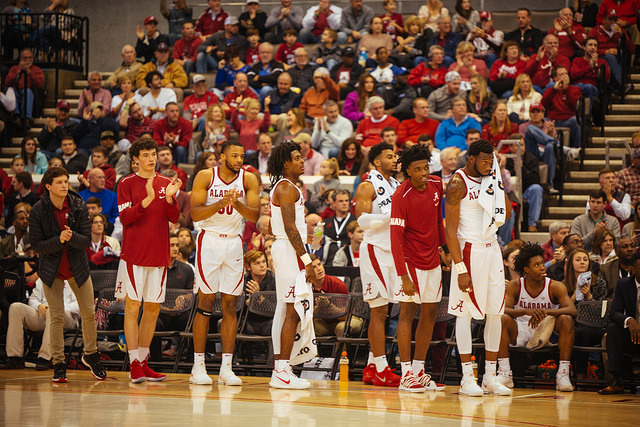 The Tide, coming off a three-point win over Arizona last Sunday, is 6-3. Liberty is 8-2, with its only losses coming to Vanderbilt and Georgetown. Mark McCarter, a four-time Alabama Sports Writer of the Year, joined the Huntsville/Madison County Convention & Visitors Bureau in the spring of 2018 and works with local, regional and national sports organizations to bring events to the Huntsville area. McCarter was inducted into the Sports Hall of Fame in his native Chattanooga in 2012 and the Huntsville-Madison County Athletic Hall of Fame in 2015 – neither honor, sadly, for his slowpitch softball prowess.